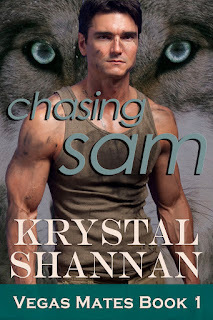 Krystal Shannan: Krystal Shannan's Stop on the Autumn Harvest Blog Hop! 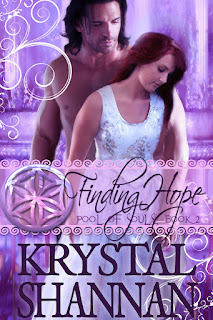 Krystal Shannan's Stop on the Autumn Harvest Blog Hop! Welcome to my stop on the Autumn's Harvest Blog Hop! I personally love the colors of Autumn. We don't get a lot of variety in leaf colors in Texas, but I love enjoying pictures from other places. I also like when the temperature drops enough to want to cuddle under the blankets on the couch with my hubby and drink hot cocoa! Texas has what I like to call bi-polar weather. You have to have three sets of clothes. If you've never been by my blog before, WELCOME! I hope you will come back and visit often. I promote fellow romance authors every week! I write myself and you can find my available and coming soon titles here on this blog and on my website at www.krystalshannan.com. 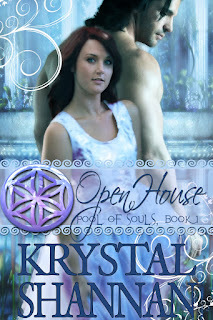 The first book in my Pool of Souls series, OPEN HOUSE, is available at most online retailers now. Please take a peek at a match made on Olympus! Enter in my giveaway through the rafflecopter below! But don't forget to leave a comment with your email address to be entered for the three fabulous grand prizes listed below. Here's the link to all the other stops! Be sure to visit! I love the crisp, cool nights in Michigan. Please sign me up for your newsletter. Thanks. I love the smells and colours of fall and the rain. Yes, I like the rain, which is good considering I live in a temperate rain forest! Autumn is my favorite season! All the colors are beautiful! Thank you for the giveaway! Thanks for participating in the Autumn Harvest Blog Hop! I like the bipolar weather just fine. So do I. I would never want to live anywhere else. I used to live in Texas so I know how's its like. Please sign me up for your newsletter. I love the cooler weather and campfires. Hey girl...please sign me up for your quarterly newsletter and thanks for the giveaway!! The colors of Autumn are glorious. I like how you worked out your clothing situation to match the seasons. You are! The next issue will come out in December! Thanks! I think I am subscribed, but if I'm not, please add me. Love the cooler weather after a very hot summer. I love having four distinct seasons but I don't have four wardrobes! Thank you for participating in the blog hop! I love everything about fall. The leaves, the cool air, coming in to warm up with some hot chocolate and a good book...great timing for a hop, as I'm finding lots of additions to my to read list! I love autumn, the colors, the weather, curling up with a good book, a cozy blanket and nice hot cup of coffee! Please add me to your newsletter! If I'm reading your tweet right, Happy Birthday! I'm turning 30 in January:( Thanks so much for being a part of the hop! Hope you enjoy your day! I love being able to wear my sweaters again and hot apple cider donuts! Thanks for the giveaway! I love all things pumpkiny to eat and drink! Oh and please add me to your newsletter! I love the colors in Autumn. Thanks for the giveaway! That's why I say that my favorite part of Autumn is the holidays. Could you please add me to your quarterly mail? I love that I dont have to shave my legs and I hate that I have to rake leaves. I like Autumn because of the cooler/nicer weather.